Unfortunately, many Americans are already behind on building their nest eggs. Particularly concerning is the average retirement savings of adults in their forties. Ideally, by that age, most people have had about 20 years of earned wages under their belt and should have a nice chunk of retirement savings put away. However, the median retirement savings of U.S. households headed by someone aged 44 to 49 is just $6,200. That means about half of those households have saved more, and half have saved less. So how can you ensure you are prepared for retirement? A good rule of thumb is to have the equivalent of your salary saved by age 30 and to have ten times your final salary in savings if you want to retire by age 67. Many clients ask me how much they should expect to spend in retirement, which can be a hard amount to predict. There are many factors to consider when calculating your expenditures, including housing, food, transportation, health care and insurance, personal care and more. Because the amount uniquely depends on your lifestyle, it is especially important to plan ahead so you’re set for the long term. It’s never too late to develop a retirement strategy. Start by determining your goals. Do you plan on funding a grandchild’s education? Or investing in a second home? Or even traveling around the world? By determining how you want to live out your retirement, you’ll have a better sense of how much you need to save. Prepare a written retirement strategy that addresses your retirement income and cash flow needs, investments, borrowing, asset protection and other areas of your financial life. Save more now. Consider setting up automatic payments to your savings account to ensure you are actively saving no matter the amount. Even if all you have is a little money to put away each month, that money can add up to a significant amount in the future. Maximize retirement savings. If you have a retirement plan at work, always sign up for your employer contribution to save as much as possible for retirement. Some employers match at least a part, if not all, of their employees’ retirement account contributions. If possible, pay off debt early. Based on your budget and financial goals, determine how much additional money you can realistically put toward your debt each month. However, don’t sacrifice other financial goals like a saving for your child’s college education or purchasing a home just to be debt free early. Thoroughly asses your financial priorities and timeline before making a decision. Don’t withdraw early. There are penalties on funds that are withdrawn early. Avoid paying these fees by refraining from accessing your retirement account until you are at least 59 and a half years old. Consider health care costs. Health care premiums and the associated costs of care are often forgotten components of retirement plans that can chip away your retirement savings. It can be difficult to predict the future, but reviewing your family’s medical history and your own personal health can help assess how much care you may need. Monitor shifting landscapes. Diverging federal and state policies can raise uncertainty when it comes to managing your wealth. You should keep an eye on any developments and rebalance as needed. Although there are variables with retirement savings including inflation, market fluctuations, health care costs, family responsibilities and other unforeseen events, saving for retirement shouldn’t be frightening. Successful planning can make it as simple as following a well-thought out investment roadmap. 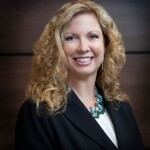 Shelley Ford is a Financial Advisor with the Global Wealth Management Division of Morgan Stanley in Denver. Shelley can be reached at 303-572-4839 or Shelley.Ford@morganstanley.com.